While most of us would prefer the familiar comforts of our own home, there often comes a time that the best move is to move somewhere with a bit more support. Make a new room feel a lot more like home with a lovely pot of cineraria placed in a pretty pot with a welcoming card. Florist’s cineraria, identified by the Latin name Pericallis hybrida, make a lovely statement with purple and white daisy-like flowers that are cheerful and bright. Best of all, with a little water, these plants will flower upwards of 4 to 6 weeks, creating a pleasant atmosphere for a month or more. Cineraria are relatives of the sunflower in the Asteraceae family, but have short stems and soft, broad leaves. With purple petals that fade inward to white and a center “eye” of yellow or darker shades, the dainty daisies tend to flower all at once, covering the entire plant with bountiful blooms about 2-3 inches in diameter. The foliage is a bright green that makes for an interesting houseplant. 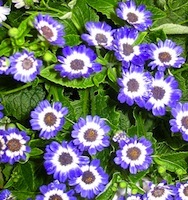 While cineraria are true annuals that will flower only once, their abundance of long-lasting blooms will make the first month in a new place a lot brighter. The Right Flowers in Your Inbox! Sign up for our free notifications of new articles! One of the best features of this flowering plant is that it actually prefers a bit more shade and will actually bloom longer if kept out of direct sunlight. This saves the windowsill for other houseplants, picture frames or knick-knacks and will add color to a dark corner or nightstand where the light is less strong. If the cineraria arrives in colorful foil or other wrapping, be sure to take it out and set it in a saucer or plate where water is able to drain. Like most of us, this plant doesn’t like “wet feet” and will last longer if it’s not sitting directly in water. Consider adding polished rocks with names or messages painted on them or bring a bit of the old home here with stones found in the yard to place around the bottom saucer. 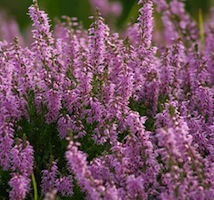 Native to the Canary Islands off the coast of Spain, this interesting flowering plant was perfected in the breeding programs of the British Royal Gardens in the late eighteenth century. Despite its advanced age in the floral world, this spectacular plant is anything but old-fashioned. Many folks will see it for the first time entering the room and this can help start new conversations with many new neighbors and staff. 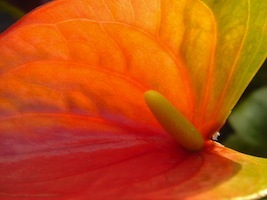 Plants and flowers have a language all their own that can bridge the gap between strangers. Whether folks have been lifelong gardeners or simply remember the specific scent of a flower from a time long ago, plants can spark connections and conversation. Help someone begin a new chapter with a lovely pot of cineraria.